There are so many reasons artificial grass makes sense as a traditional lawn alternative. However, at some point the conversation turns to artificial grass cost. Homeowners want to know if it’s really worth the switch. 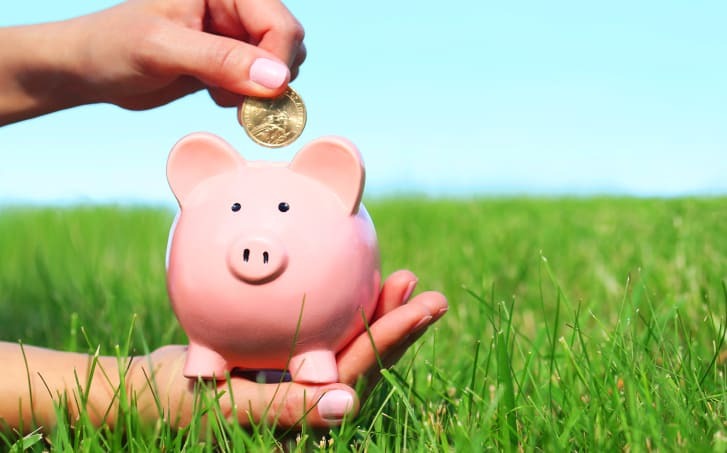 Let’s spend a few minutes discussing the ways artificial grass saves money. In the end, you will see it’s not about price at all. Artificial grass costs less in the long run. You have to talk about water conservation when you talk about artificial grass. The two go hand in hand like a seasoned dance couple on a ballroom floor. And, in California, doing the water conservation dance is not really optional. The governor placed mandatory water restrictions on California municipalities last year in preparation for drought conditions. Now think of how your lawn will look in hot summer months. If brown is your favorite color than the governor did you a favor. Yet, if you want a lush green lawn, you should really consider artificial grass. Plus, consider this. Artificial grass eliminates watering. That’s money right back in your pocket. But just how much does it save? Some estimates suggest homeowners save 55 gallons of water per year for every square foot of artificial grass installed. That can really add up! Besides, think of the money you save on sprinkler systems. A natural lawn will require one, and that can cost thousands after purchase and install. So while typical artificial grass cost $6-$15 per square foot to install (these are ball park numbers. Actual costs vary depending on the type of grass you choose), it’s a one time cost. Nothing else is required. This brings us to our next point. Lawn Equipment: No need for lawn equipment. So you can say goodbye to maintenance or repairs associated with those items. That could could put thousands back in your pocket when you consider how many pieces you might use. There are at least three, a mower, weed eater and edger. These could cost anywhere from a few hundred to thousands if you purchase a riding mower. Yet, with artificial grass, none of these are necessary. When you think of artificial grass cost, it can seem expensive at first glance. Yet, artificial grass is the best example of a product that might have a higher price, but costs less in the long run. For instance, think about you green natural lawn. It takes a lot of work! Beyond cutting and landscaping, there are fertilizers to think about. That’s right, natural lawns don’t stay green by themselves. They require chemicals to keep them lush and green. And those chemicals end up in our waterways which is bad for the environment. Yet, artificial grass requires no fertilizer to keep it green. Therefore, this is more money saved for you. Seems like artificial grass cost as compared to real world cost for lawn maintenance gets smaller and smaller. How often have you been plagued by insects and biting bugs while trying to enjoy your natural lawn? To get rid of them requires pesticides or special treatments from a lawn service professional. However, with artificial grass requires non pesticides. Even better, they create a bug free environment. In order for bugs to thrive they need a habitable space. Artificial grass does not provide that so they simply go away. This is really nice for pets and kids too. No more scratching, itching or painful bites. This is one area artificial grass cost trumps so many other things a natural lawn can provide. If you suffer from allergies, strongly consider artificial grass. When allergy season comes in like a lion in spring, you won’t sneeze your head off. Also, if your pets or kids are allergic to certain grasses, artificial grass is the answer. Consider the money you spend on creams, salves, ointments and hay fever cough. This is on area artificial grass can make an impact. So to recap, artificial grass cost between $6-$15 per square foot to install. However, that is a one time fee. Afterward, you benefit from a permanent, low maintenance green space. And we haven’t even discussed the best part yet. Many artificial grass installs last 15-20 years. This is well beyond their warranty! Think about the implications this could have for commercial property. Say you are a school with a large campus. One artificial grass install could save your school thousands in the long run. It impacts everything we have seen above. Maintenance, chemicals, pesticides and lawn equipment are unnecessary. Also, artificial grass helps staff dollars become more efficient. Staff can be reassigned to other tasks rather than spend time watering, seeding or mowing the school campus. So don’t hesitate, contact Artificial Grass Pros today. We have the experience, install team and work ethic to get your install right the first time. Plus, we will go over options with you to come up with something that best suits your budget. You don't want cheap artificial grass. Furthermore, we will be happy to walk through real world scenarios showing you the potential for return on investment. There is no time like the present to start saving money. Let Artificial Grass Pros make a difference for you today. Just fill out the form below and someone will touch base with your shortly!